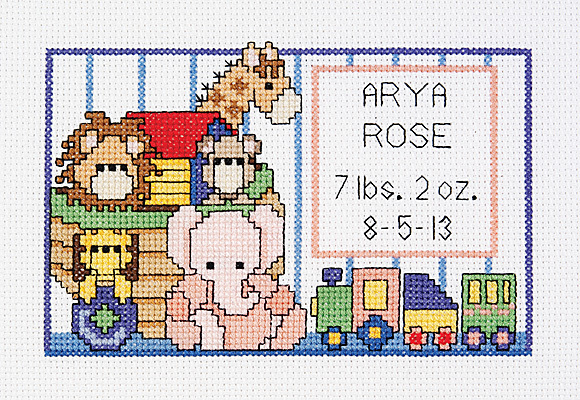 Noah's Ark Birth Sampler is a counted cross stitch design by Suger Plum Express. Celabrate your special somone by sharing the sampler, with an area to personalize the name date, and what ever special saying you would like to put. Contains: 14-count Aida fabric, 6 strand 100% cotton floss, needle, graph, instructions.